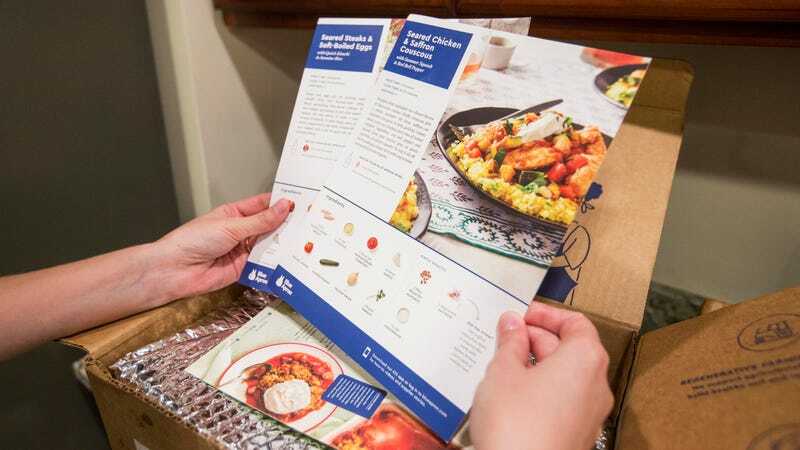 Blue Apron, the meal kit delivery startup that allows non-chefs to pretend that they’re good at cooking, is experiencing some growing pains. On Friday, the company announced potential job eliminations in its Jersey City facility, which officially shuts down in October. Employees have reportedly been given the choice to relocate to Linden, New Jersey as part of the shift. Though early reports cited layoffs, Blue Apron reps said that so far around 800 of the 1,270 workers affected have decided to stay on board. Nonetheless, Fortune reports that “the news rattled investors” who were already nervous after Blue Apron co-founder and operations chief Matt Wadiak stepped down into an advisor position in late July in the midst of what Tech Crunch described as “a painful IPO” process. Blue Apron faces the usual startup dilemmas, including competition from the almighty Amazon. Much of its troubles have been blamed on Amazon’s surprise mega-merger with Whole Foods in the weeks before, followed by the online shopping giant’s own entry into the meal kit delivery space last month. But Blue Apron has other problems giving investors pause outside of Amazon too. The amount of marketing money needed to woo each new customer has been soaring, and analysts don’t see such expensive growth as sustainable. Meanwhile, the customers Blue Apron does have don’t seem to be interested in spending more with the company, and financial disclosures indicate a high level of churn rather than a loyal base. Ultimately, though, this news is about me: In the past year, I’ve experimented with a different delivery service, HelloFresh, which proved to be a bit too bland for my tastes as far as meal selections. I’ve heard Blue Apron isn’t that much more exceptional.